The 138 was constructed with a shaped foam core, a polyethylene top skin, and no bottom skin. Only one year later, the slick-bottomed Mach 7-7 revolutionized bodyboard design and put boards like this on the backburner. 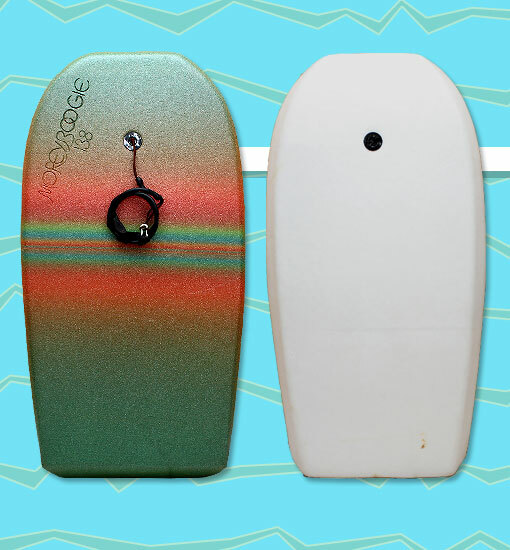 While similar boards were produced after 1981, they were primarily marketed towards beginners. Photo: Shane Griffiths.